Welcome to Katfrog's Corner: Paypal Subscriptions - Do you know what you've subscribed to? 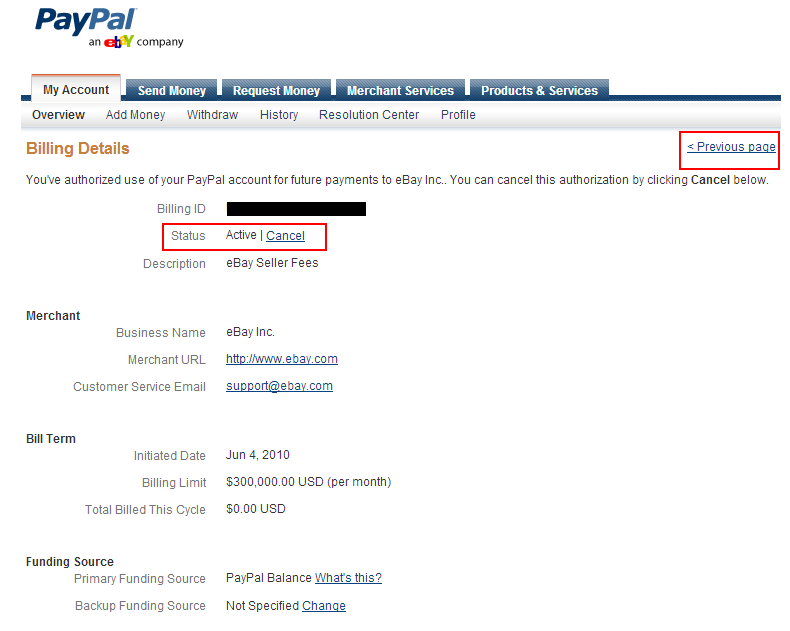 Paypal Subscriptions - Do you know what you've subscribed to? Last week, I cancelled an account with an online merchant, and they kindly told me that I needed to cancel my Paypal subscription. 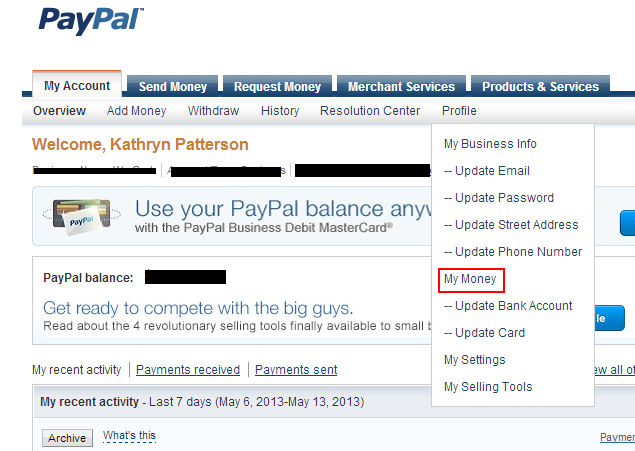 After a little reading in Paypal's help pages, I found what I was looking for and more. I did not realize that I had several companies set up under "My preapproved payments", a list that includes subscriptions, automatically billed payments, and installment plan payments. On top of the subscription I needed to cancel, I found Big Fish Games, which I assume was set up when I bought one game from them, Sears Holding Company, and a few other companies. I immediately cancelled everything that I didn't actively want, and decided that I would check my preapproved payments lists more regularly. If you're wondering what you've authorized as a "preapproved" payment, you can follow these instructions. 2. Look in the bar under the tab My Account, hover your mouse over Profile, and click on My Money. 3. Click on Update next to My preapproved payments. 4. At the bottom of the screen, you'll see a list of all your preapproved payments. You can filter the list by the status of the payments. 5. If you want to change a payment from Active to Inactive or Cancelled, click on the name of the business. When this webpage loads, change the Status by clicking on Cancel. You can use Previous Page to return to the list. That's all there is to it. I hope you find this useful.